One of the many historic places in Madison County Illinois is Historic Alton, rich with history as well as home to many beautiful homes built in the 1800s. One of them is the Beall Mansion that was built for Z.B. Job who was a railroad baron and entrepreneur. Today it has been restored and is a Bed and Breakfast. Another is the Lyman Trumbull Home, home to the US Senator who wrote the 13th Amendment to the US Constitution which abolished slavery. Taking a drive through the Alton's streets reveals many more and makes for an enjoyable feast for the eyes! Alton has several historic memorials. One is to Elijah Lovejoy, minister and abolitionist who was martyed standing for the freedom of speech and to end slavery. Another is to the Confederate soldiers who died in the Alton Confederate Prison and is located in the North Alton Confederate Cemetery. Other historic places in Madison would include the Lewis and Clark Community College in Godfrey which was founded in 1838 as the Monticello Female Seminary. There are reports that tunnels were built under the original buildings of the campus which were used by the Underground Railroad to hide slaves fleeing to freedom. 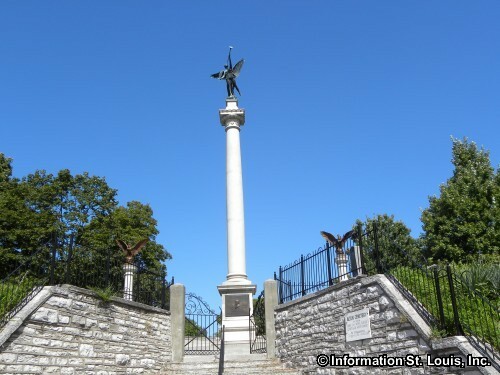 Below is a list of many historic places in Madison County including those in Glen Carbon, Edwardsville, Granite City, Wood River, Hartford, Roxana and others.